MovingInCanada.com discusses the many towns & cities across Canada, and thousands of great livable neighbourhoods (over 1600, in fact). For each community, you can search our very complete business directory to help you find realtors, home & condo builders, home inspectors, mortgage lenders, and movers (all of which are in our directory at NO COST). 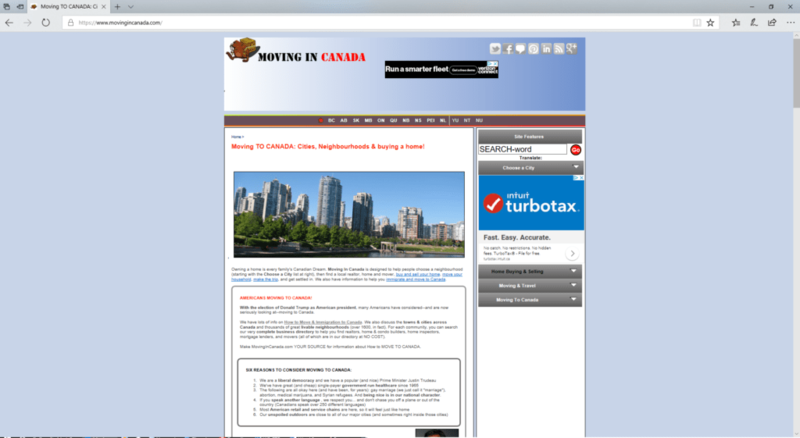 We also have lots of info on How to Move & Immigration to Canada. We have created and run this website, and all its social media, since 1999. This site has about 3,000 pages of content.